Come visit us at the upcoming Home, Garden and Lifestyle Show March 16-17, 2019. The show is sponsored by Builders & Remodelers Association of Greater Ann Arbor (BRAG)(click for more info). 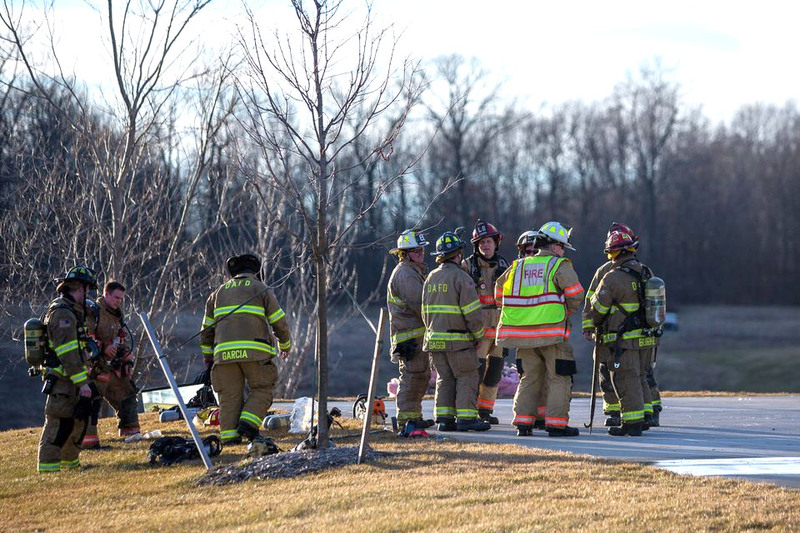 This event typically draws over 8,000 visitors from Greater Ann Arbor — including Chelsea, Dexter, Grass Lake, Manchester, Milan, Saline, Ypsilanti and beyond. It features many examples of local remodeling and home & garden resources. Admission is $5, with kids 12 and under free. As always, Acheson Builders is pleased to offer you gratis admission coupons — get into the show free! All we ask is that you stop by the Acheson Builders booth and introduce yourself. (You’ll find us in the main building, right side. 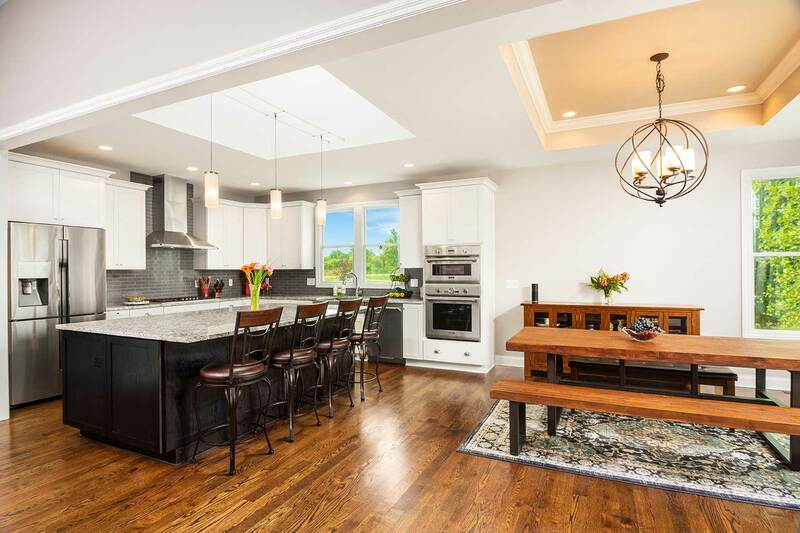 We’ll be the ones with the custom cabinetry and wall panel of featured projects! ) Download this PDF for printing — and we’ll be seeing you at the event! 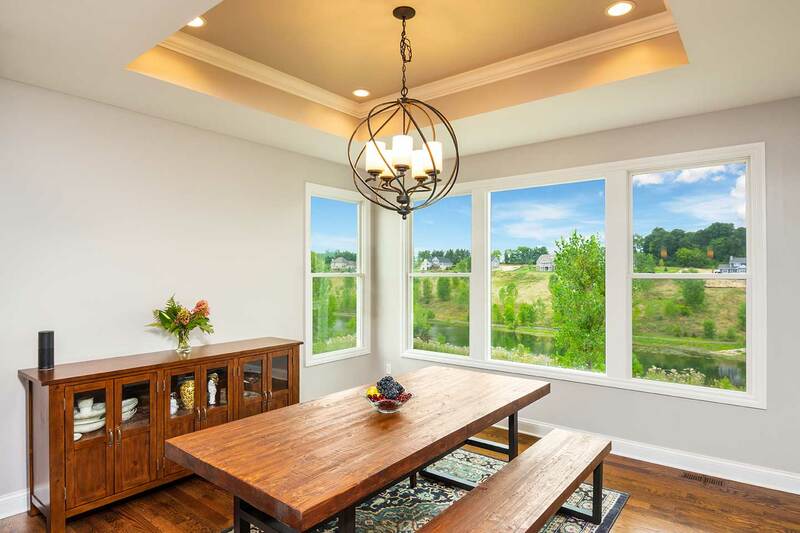 Dining room’s recessed indirect lighting and many windows reveal Acheson Builders’ attention to detail in wall, ceiling, and floor finishes. 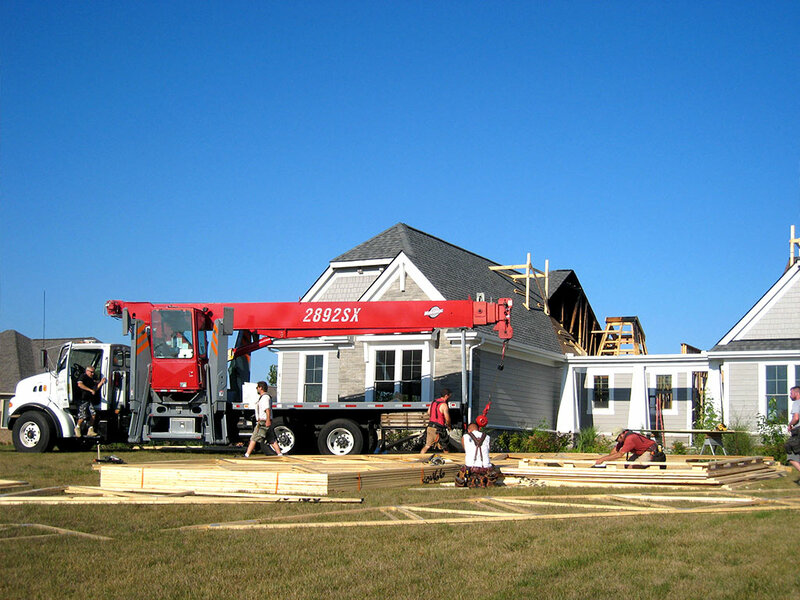 Construction crane being positioned by Acheson Builders crew for framing and roofing phase of restoration. Acheson Builders is honored to have been named Builder of the Year by the Builders & Remodelers Association of Greater Ann Arbor, Michigan. The award was presented in a celebration on November 7, 2018. Third Year for Three Best Rated . . . ! 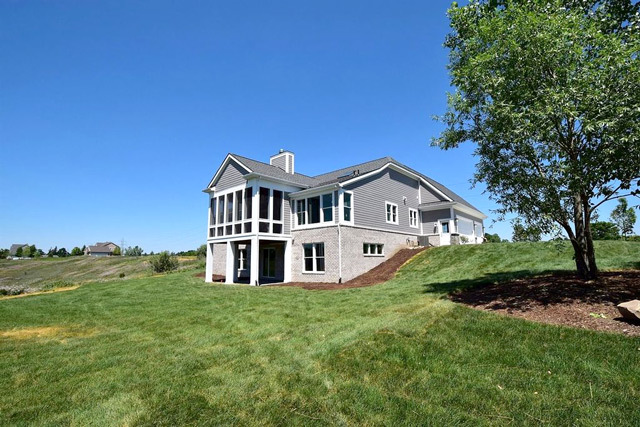 And, as if the BRAG award was not praise enough, Acheson Builders has also been named a Best Business of 2019, one of Three Best Rated — third year in a row. 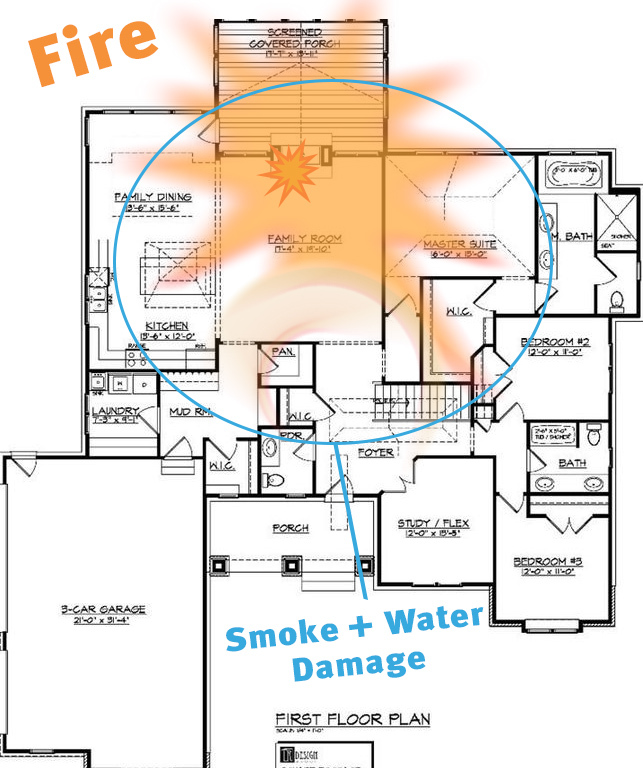 UPDATE: See the rebuild/remodeled home here. 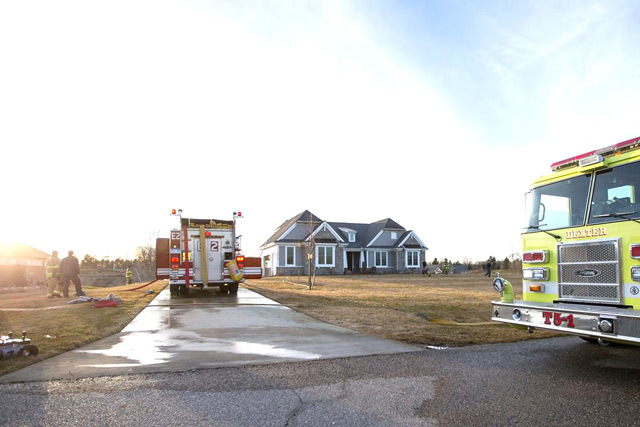 Fire engines and fire fighters on scene at this home in Dexter, Michigan prior to second outbreak. 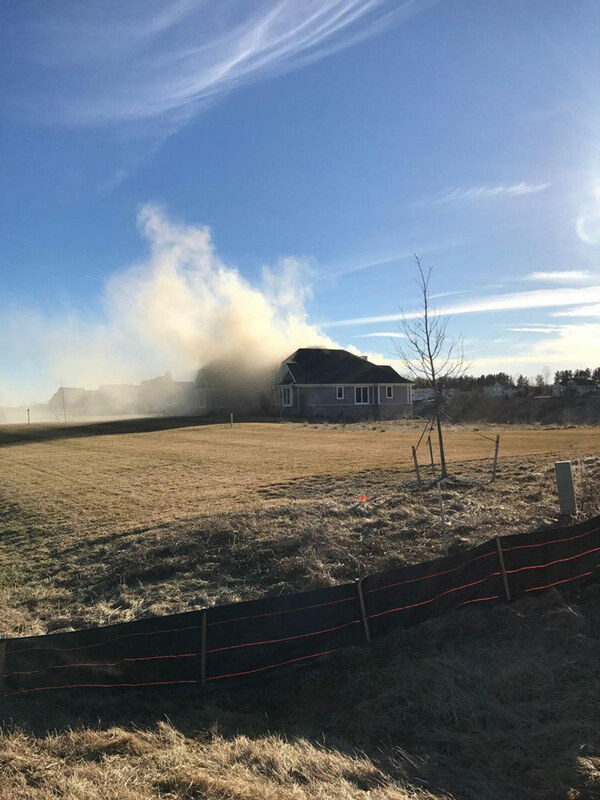 Fire is supposed to confine itself to the fireplace, but in this home in Dexter, only one year old, flames reached out of a defective fireplace to engulf the middle section of this home. 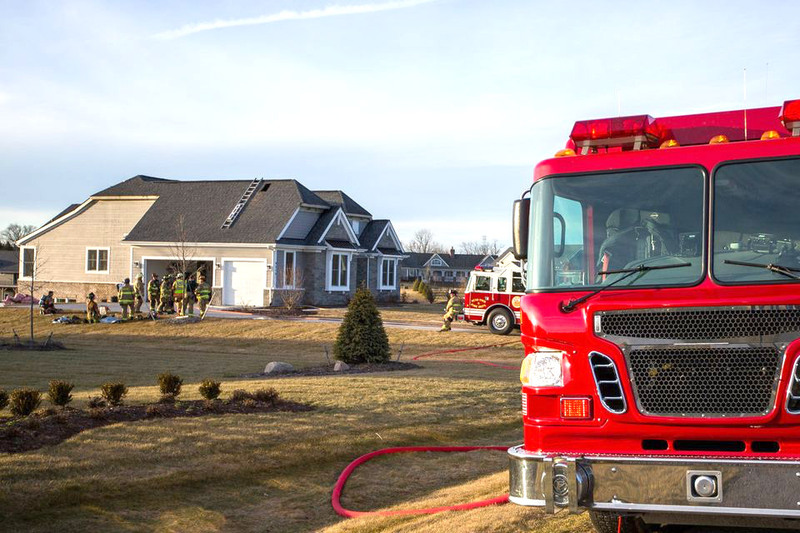 The owners escaped unharmed, and the fire was extinguished, only to reignite less than 24 hours later (again without injuries). 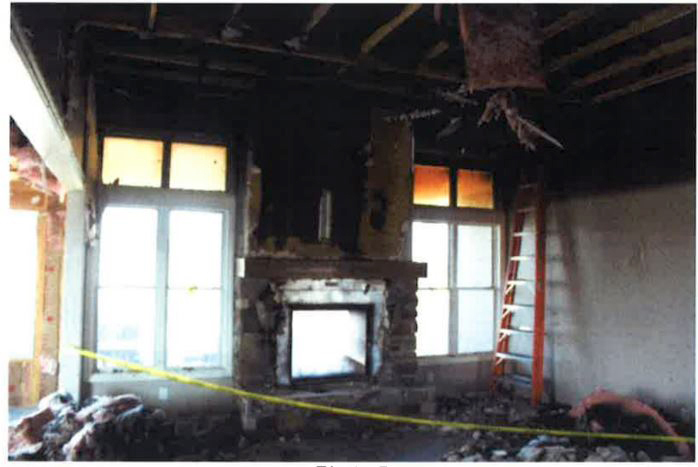 Where it started: the burned out fireplace after fire spread to entire center portion of house. Rebuilt fireplace and living room. 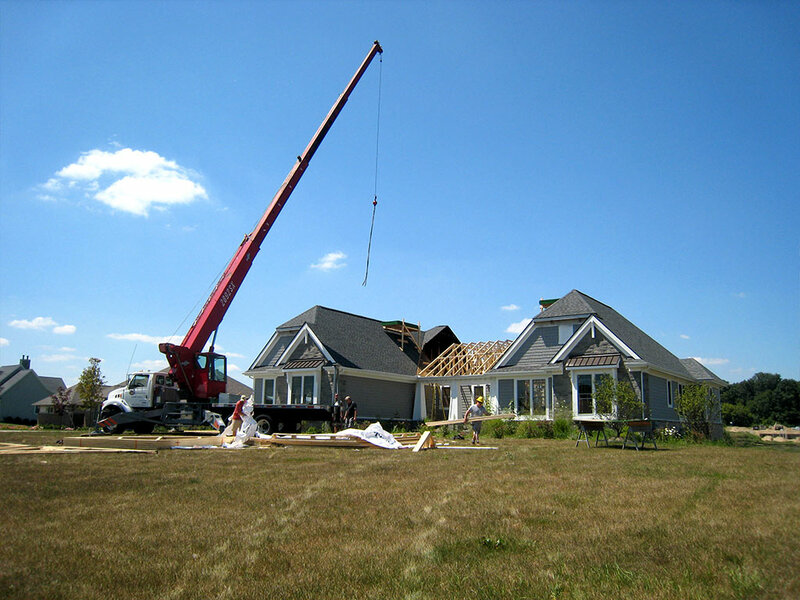 Acheson Builders came to the rescue (after the Fire Department of course) and planned out and conducted a campaign of removal, clean-up, and reconstruction of only the damaged portion, carefully following insurance company-provided inspectors’ professional Structural Engineering Report. 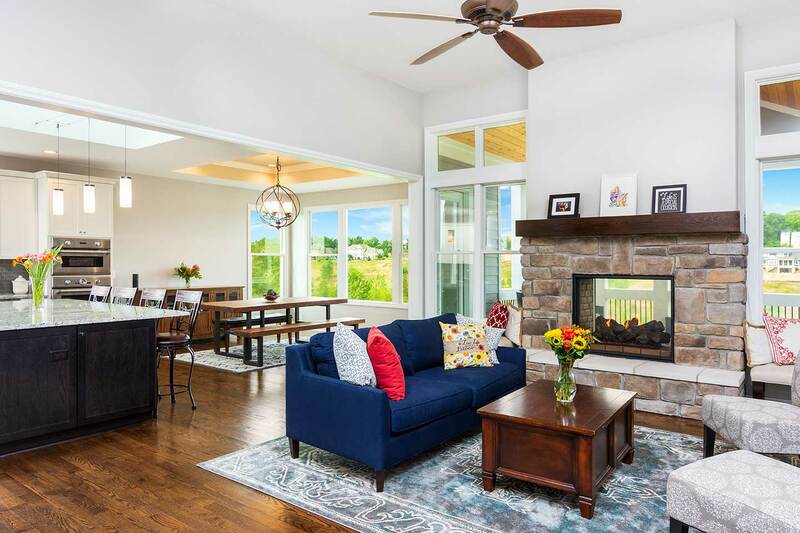 Beyond replacing damaged structural elements such as roof joists and rebuilding the whole middle section — with a new fireplace — the entire house required new interior finishes. 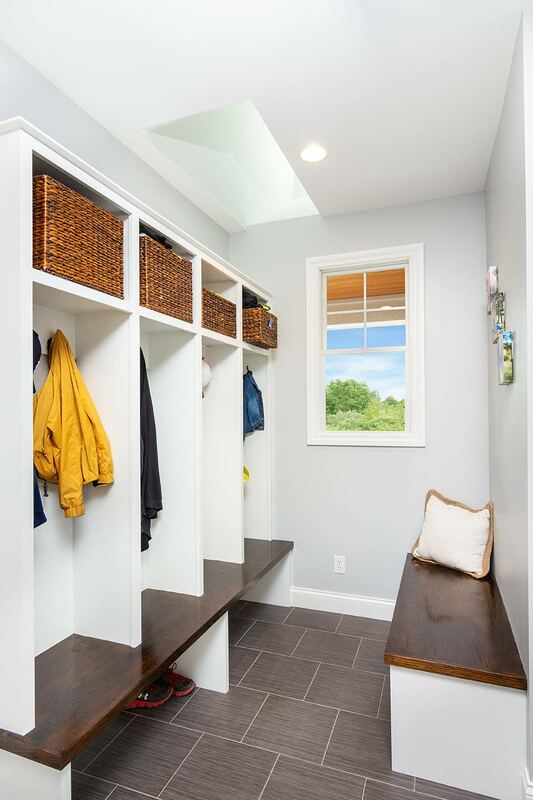 The new trusses are in, the walls put back together, paint and custom finish work throughout completed so now the owners can once again, shuck off their outdoor duds in the new four-cubby mudroom and gather around the indoor-outdoor fireplace to once again enjoy their beautiful home. 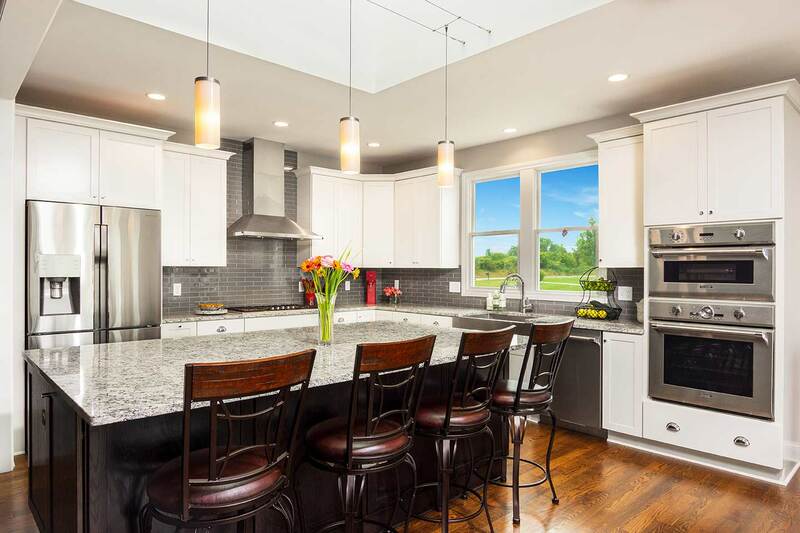 See for yourself the quality of Acheson Builders’ work by touring the home at Remodelers Home Tour 2018, one of nine homes being shown by Builders and Remodelers Association of Greater Ann Arbor (BRAG Ann Arbor). 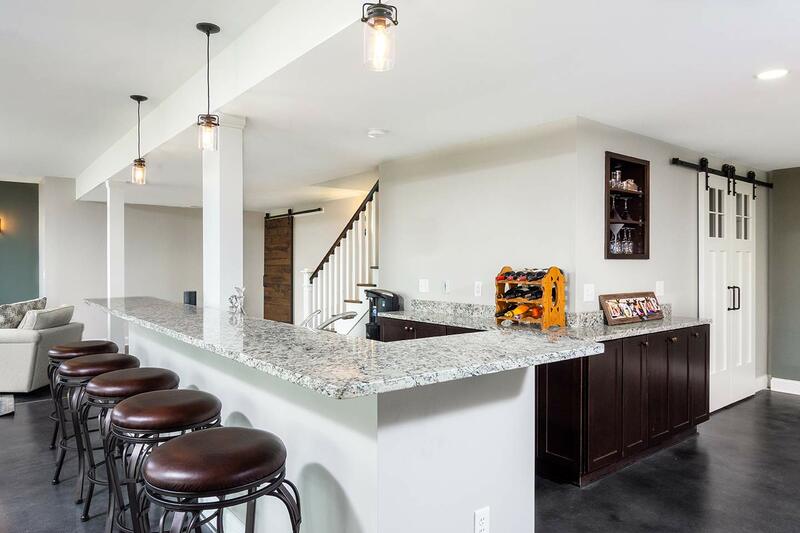 Don’t forget to check out the newly remodeled basement, which became a secondary portion of this project. 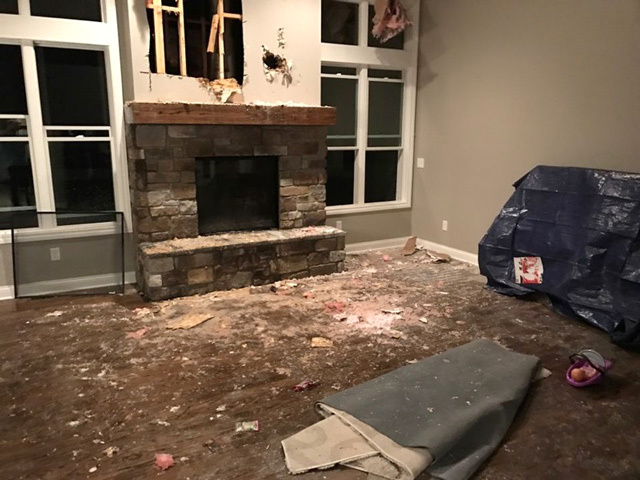 Posted in Home Shows, Remodeling, Restoration | Comments Off on Out of the Embers: Home Rebuild Complete! Jim Acheson at the drafting table in Ann Arbor, Michigan. Jim Acheson grew up in Michigan and developed a keen interest in craftsmanship from his jeweler father. This may explain how Jim developed his talent for meticulous attention to detail, while also learning first-hand what it takes to run an independent family business. As a kid, he wasn’t especially sure that he wanted to work as hard as he saw his family working — but of course no one would accuse the adult Jim of being anything less than the hardest-working builder/remodeler in town. My passion for architecture started as a young child sitting on the porch of our family’s historic country home. I loved the intricacy of design and latticework on the porch filigree. Fancy scroll work wooden post of front porch in winter. White-painted full-width porch and matching blanket of Michigan snow. Acheson house in winter showing side entrance. Jim Acheson’s childhood house front porch. A fancy welcoming front porch. As I grew up, I’d frequently be found doodling architectural ideas on scraps of paper. I later went on to study architecture at the University of Michigan and worked summers for a local builder. After 3 ½ years of college, I had to break from school in order to earn more money to keep going. The builder I worked for taught me carpentry skills, but also was impressed by my eye for design. When that builder saw a commercial opportunity he wanted to pursue, he turned over his customer base in residential work to me, and I started my own company from there (way back in 1973!) I love bringing beautiful architecture and building to the Ann Arbor area. Jim and Marilyn Acheson (center) and children (l-r) Harvey, Kathryn, and Ross visiting Jim’s family home in 1999. 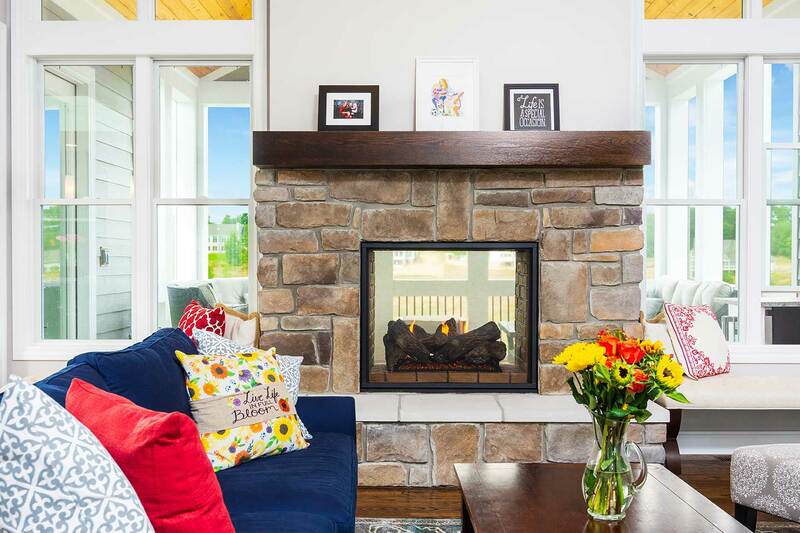 45 years later, Acheson Builders is still family-run, still making homeowners happy with its highly personalized approach to house building and remodeling. 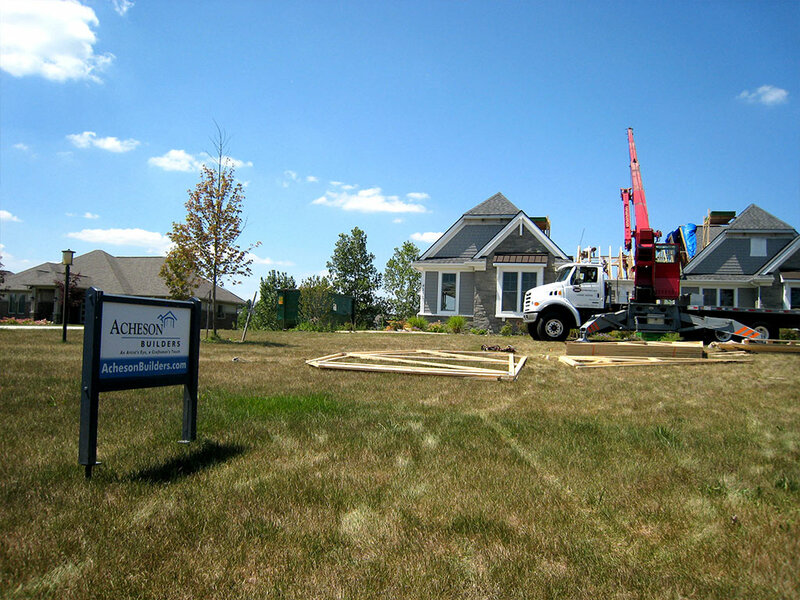 While contractors and builders in general have a sometimes shoddy reputation for leaving customers feeling underserved, Jim Acheson’s insistence on listening well, assigning an interior designer and lead carpenter to every job, and offering meaningful follow-through has helped make Acheson Builders a true standout in the field. Basement Remodeling, Bathroom Remodeling, Custom Home Bars, Custom Homes, Deck Building, Energy-Efficient Homes, Garage Building, Green Building, Home Additions, Home Extensions, Home Remodeling, Kitchen Remodeling, New Home Construction, Roof Replacement, Siding Installation, Structural Engineering, Sustainable Design, Custom Cabinets, Remodeling, Residential Home Builds . 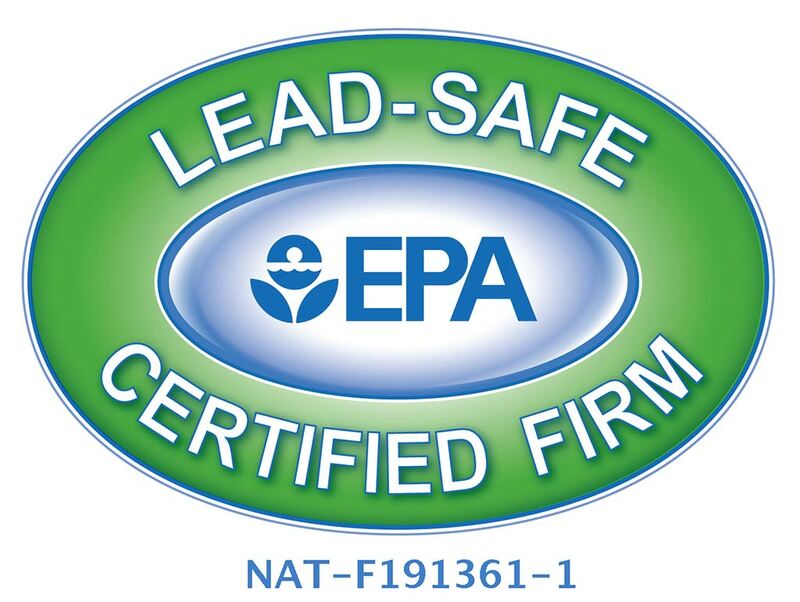 . .
Certified Graduate Builder, Certified Graduate Remodeler, Certified Aging in Place Specialist; Keppler Award for Remodeling Achievement 2014; Member of the Better Business Bureau: A+ rated. 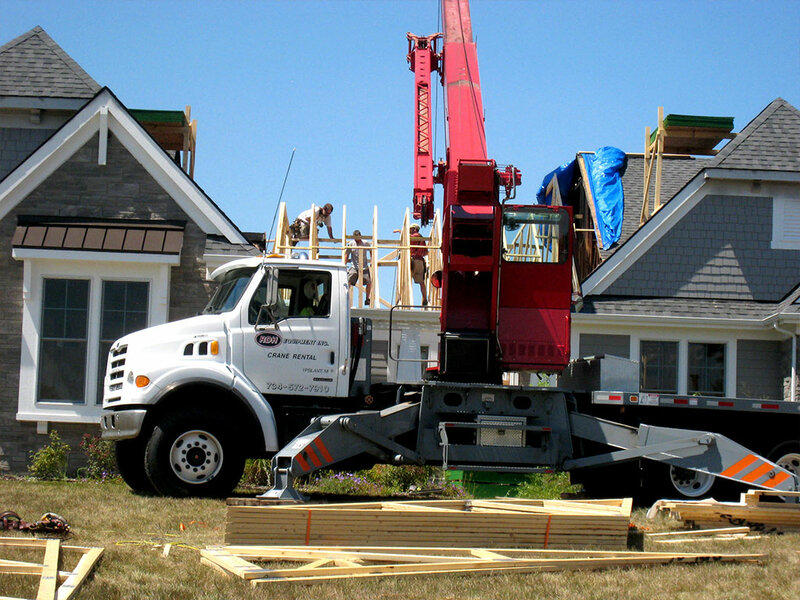 Acheson Builders has been rated The Top 3 Home Builders in Ann Arbor by ThreeBest Rated two years running. Ann Arbor, Barton Hills, Bridgewater, Dexter, Saline, Ypsilanti, Brighton, Gregory, Hamburg, Howell, Pinkney, Chelsea, Salem, Manchester, Plymouth, Northville, Whitmore Lake, Willis, Whittaker, Belleville, Canton, Dixboro. • Favorite Aspect of Customers? 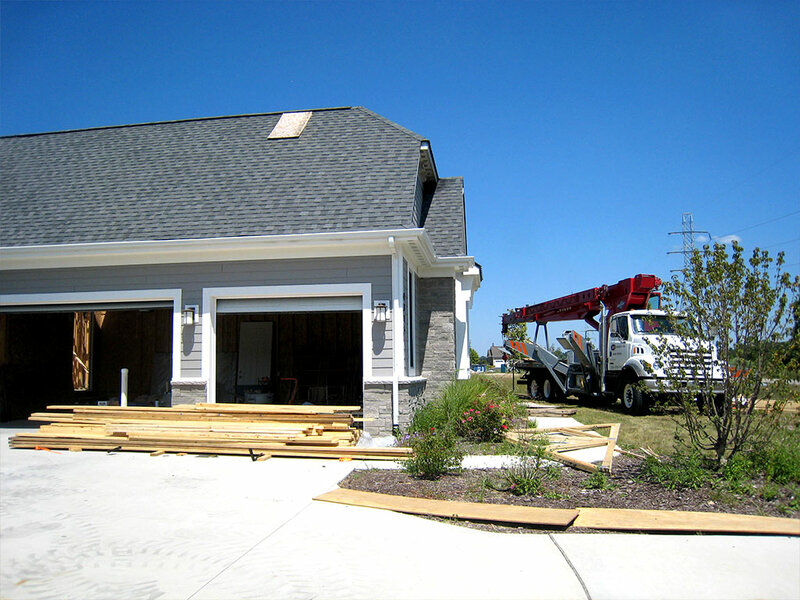 • In Remodeling, How Do You Know Where to Start? Posted in Company, Interviews | Comments Off on Who Wants A Long-Lasting Trouble-Free Home? 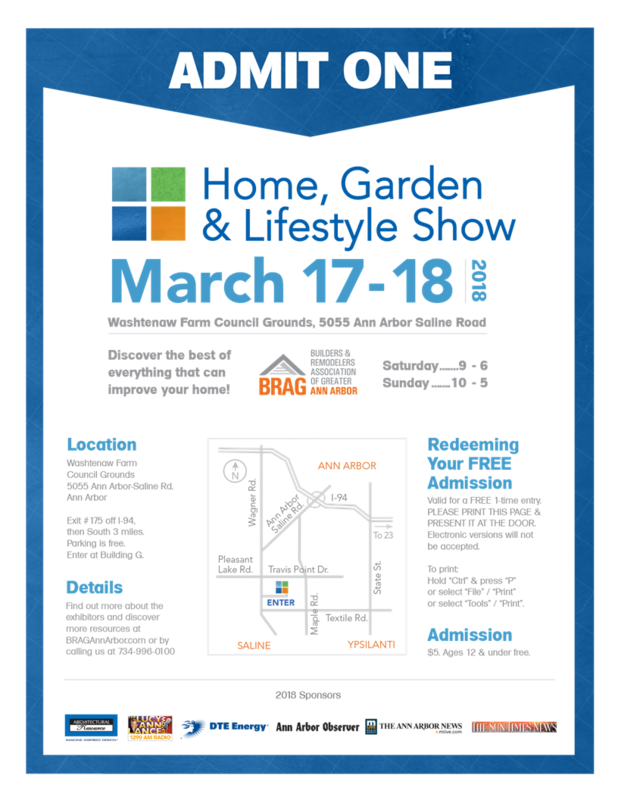 Come visit us at the upcoming Home, Garden and Lifestyle Show March 17-18, 2018. The show is sponsored by Builders & Remodelers Association of Greater Ann Arbor (BRAG)(click for more info). This event typically draws over 7,000 visitors from Ann Arbor, Chelsea, Dexter, Grass Lake, Manchester, Milan, Saline, Ypsilanti and beyond. It features many examples of local remodeling and home & garden resources. As in years past, Acheson Builders is pleased to offer you gratis admission coupons — get into the show free! All we ask is that you stop by the Acheson Builders booth and introduce yourself. (You’ll find us in the main building, right side. 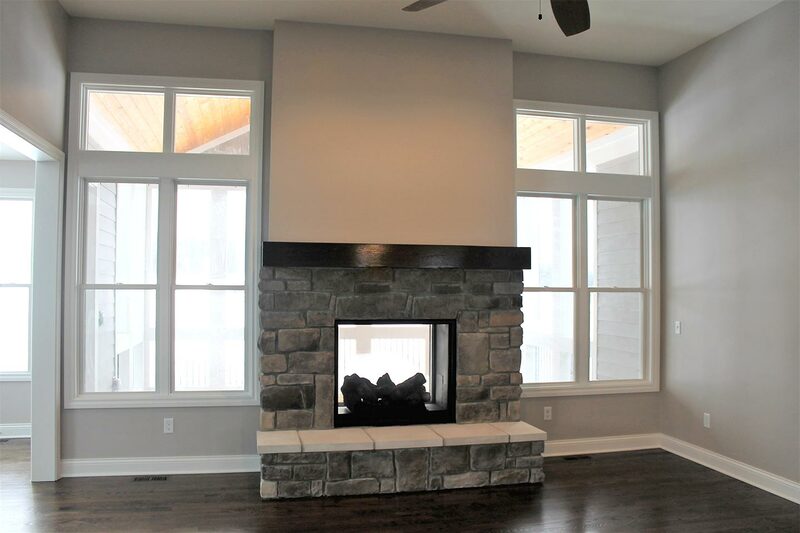 We’ll be the ones with the custom cabinetry and wall panel of featured projects! ) Just CLICK HERE to open a printable image for tickets OR download this PDF for printing — and we’ll be seeing you at the event! Jim offers a homeowner remodeling ideas. Custom cabinetry on display at Acheson Builders’ Home Show booth. 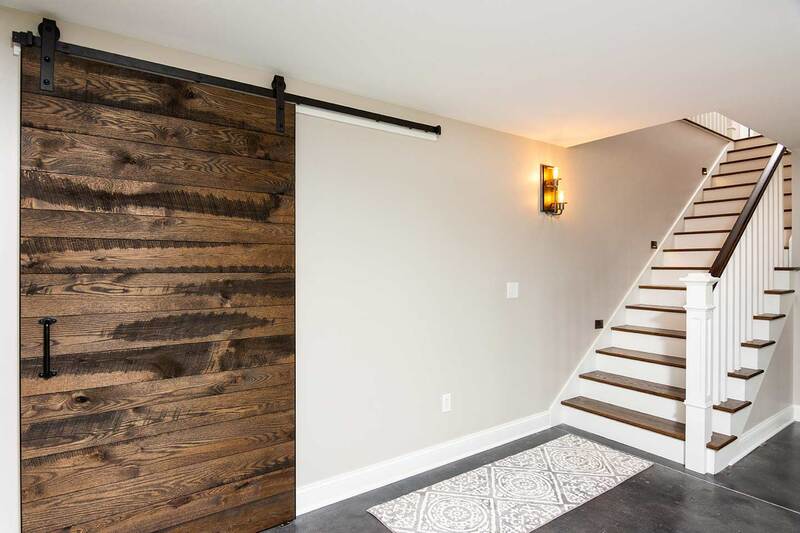 Whether building a new home or considering remodeling your existing abode, Acheson Builders has a time-tested design & build process for you to take advantage of. 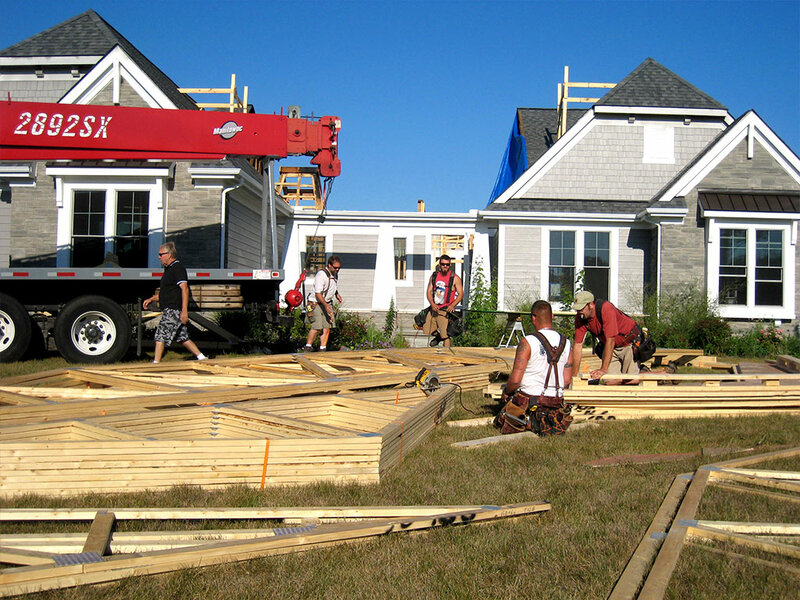 Come to the Home Show to see case study examples from the many homeowners we have helped! Acheson Builders is proud to receive this certificate of excellence from ThreeBestRated®. Chosen one of three best home builders in the greater Ann Arbor area — for the second year in a row. Criterion for the selection and more information can be found here. Or look us up on the ThreeBestRated® website. 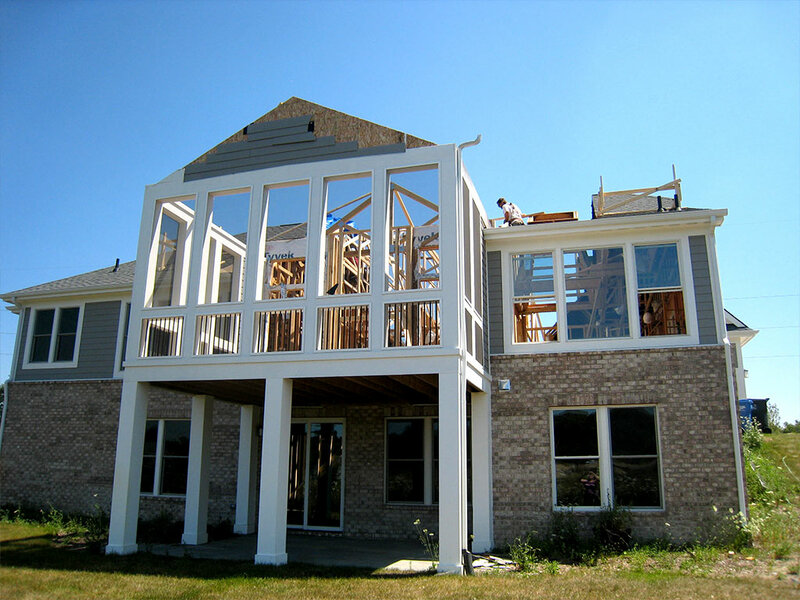 What can we do to make your home building or remodeling project an excellent reality? 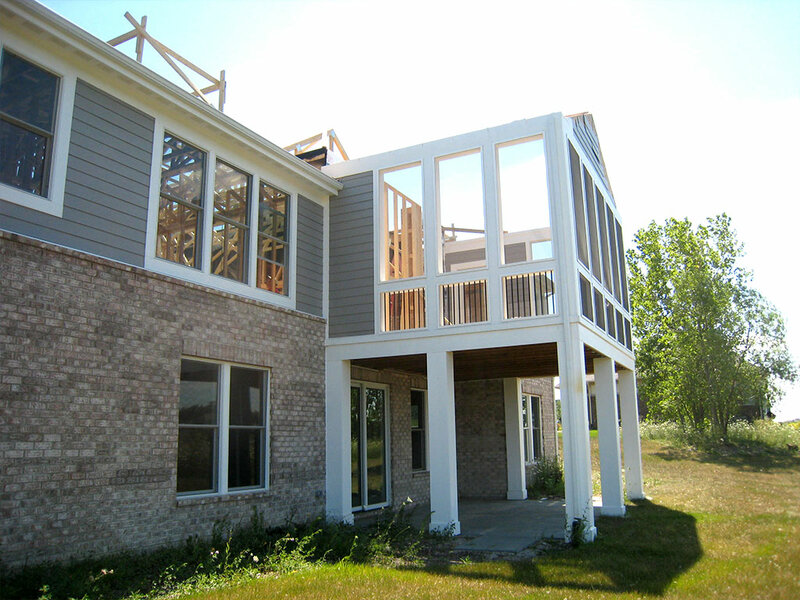 Contact Acheson Builders today. Three Best Rated – Again! 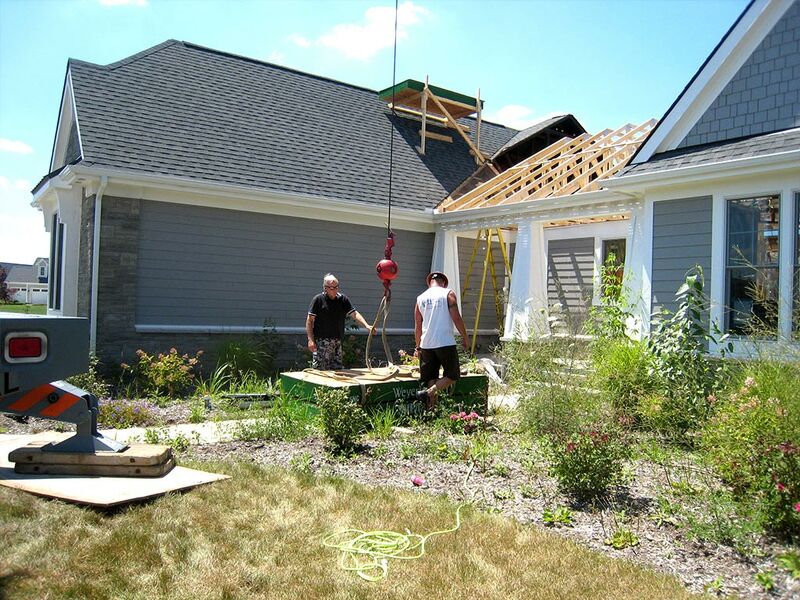 Acheson Builders has also been honored to be chosen as one of the three best rated home builders in Ann Arbor, for two years in a row by ThreeBestRated®. 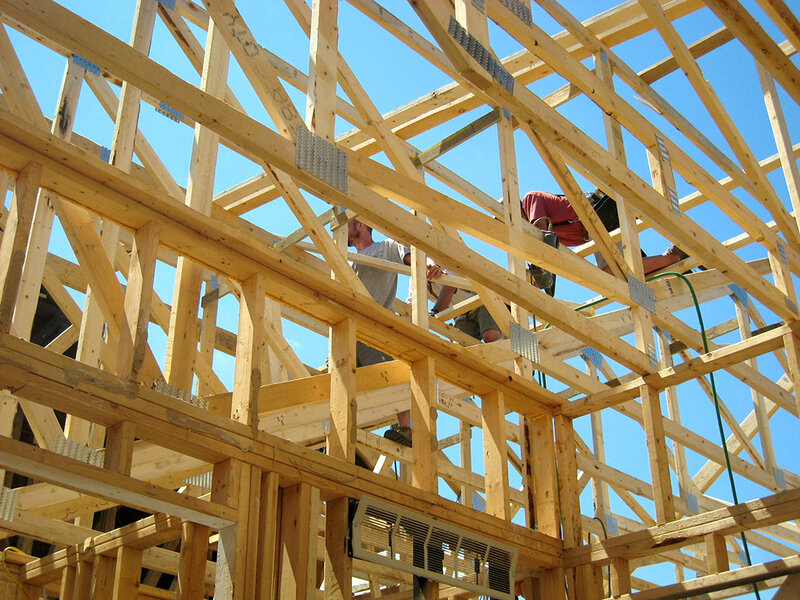 These are the handpicked Top 3 Home Builders in Ann Arbor, MI. 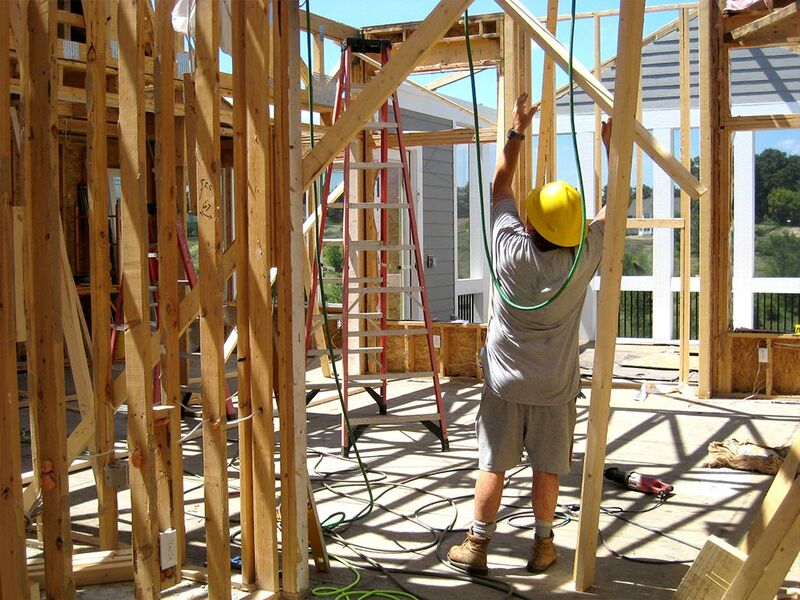 How does ThreeBestRated® find the most highly rated home builder? Its 50-Point Inspection includes everything from checking reputation, history, complaints, local reviews, nearness, satisfaction, trust and cost to the general excellence. That’s not all . . . businesses do not pay ThreeBestRated® to list them. ThreeBestRated® believes that customers deserve only the best! Acheson Builders gets high marks from me. They were well organized and respectful of my home. Every few days I was given an update of who would be working and what they were doing. If there would be a change in plans Jason, the project manager would call to update me. 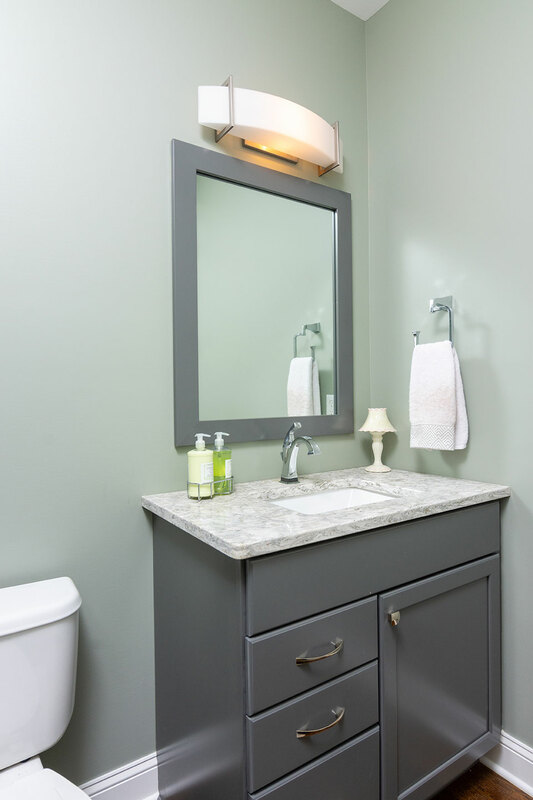 Their attention to detail in this bathroom project was outstanding – from the first planning visit by Laurén to the final inspection by Jason. They will definitely be the team for my next project. Also see our Certificate of Excellence from ThreeBestRated. Posted in Company, News | Comments Off on Three Best Rated – Again! 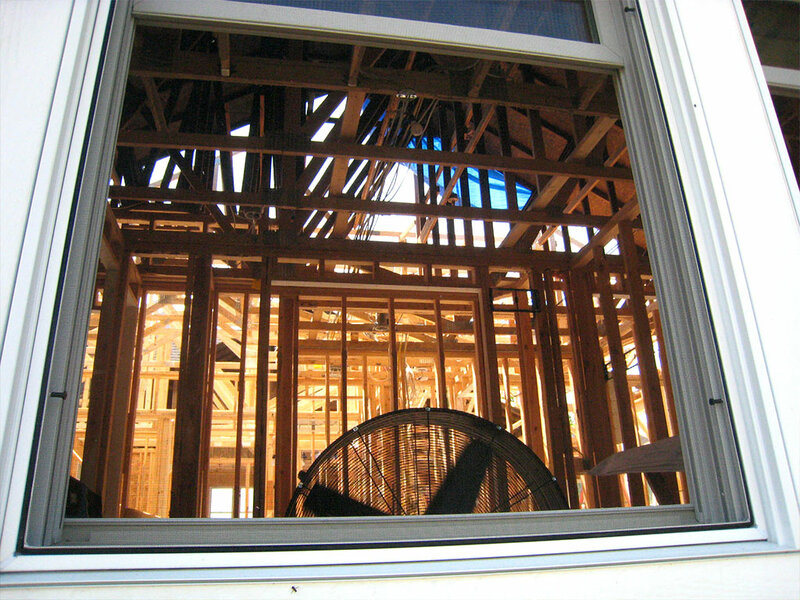 This was a calamitous event that our client experienced from a windstorm last March . . . a tree fell on their beloved screened porch! 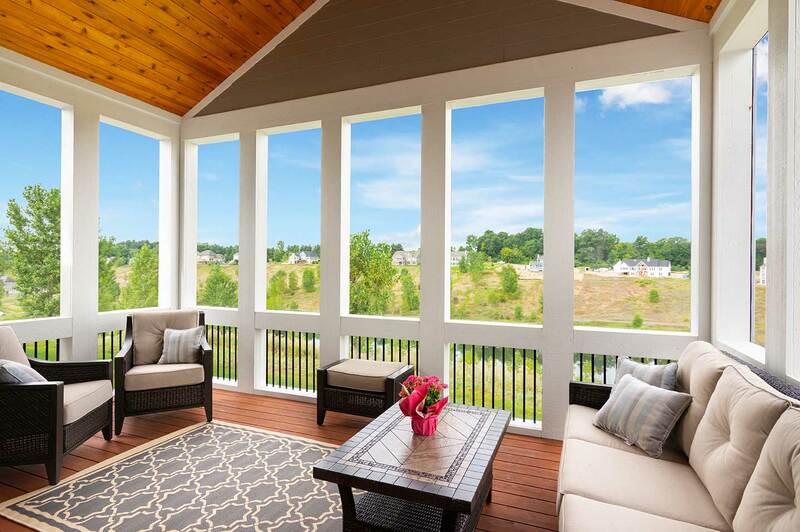 This is the interior of our client’s fully rebuilt and restored (by Acheson Builders) three-season screened porch. You can see why they love being in this room often, throughout the spring, summer and fall.